Everyone put their hands up to the question – who had played with some of the brand names in this heading? The man behind such famous products, Frank Hornby, was the subject of a talk given by John Hollands to the Probus Club of Basingstoke. Frank Hornby was born in 1863 and Liverpool was his lifelong home ending up as Conservative MP for Everton. He was a cashier for a wholesale food business and had a small workshop at home that allowed him to develop some of his ideas. Having been impressed by a book about inventors and their many failures Frank Hornby appreciated that perseverance was the key to eventual success. He wanted boys to take up useful trades and started to develop a construction kit which he patented in 1901. He hoped it would encourage boys to find suitable engineering employment locally. Initially called Mechanics Made Easy the name changed to Meccano in 1907. Manufacturing was outsourced and were plain metal and not of the highest quality. The product was refined and eventually painted red and green then blue and yellow. He started manufacturing himself and quickly growing out of two larger work units it was clear that even larger premises were needed. The famous Binns Road factory in Liverpool was opened in 1914 employing up to 2000, mainly women. After WW1 Hornby introduced model trains to compete against resurgent German toy manufacturers. Export markets had decals on the trucks and passenger coaches pertinent to their own countries. So successful were overseas markets that manufacturing plants were set up in France and eventually after a legal case over 9 years to protect his patents in America, he opened a factory in New Jersey. Meccano magazines were published monthly aimed at boys initially featuring articles on Meccano construction. Frank Hornby was the editor for many years. Over time Meccano Magazine became a general hobby publication aimed at “boys of all ages”. The factory began making model figures to complement the train sets. Using the same scale as the trains they were called Dinky Toys. Vehicles were added to the railway layouts and thus began the third string of this toy manufacturer. No doubt every boy of a certain age, and many girls, enjoyed playing with Dinky Toys. Increasing competition in the 1960s and 70s for die cast toys came from Mettoy’s Corgi and from Match Box toys made by Lesney Products while Mattel developed their “Hot Wheels”. Dinky Toys partly responded by expanding their Dinky Supertoys range which included the Mighty Antar transporter made by Thornycroft in Basingstoke. 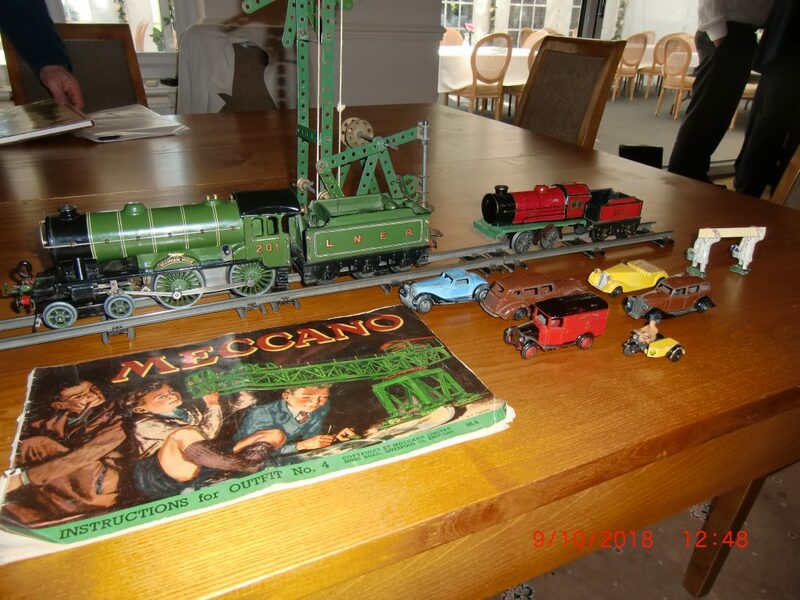 Meccano Ltd was taken over by Lines Bros in 1964 with Hornby Dublo trains sets combing with the Triang name. Production was moved to Margate in Kent where it continues to this day. The high cost of manufacturing in Britain took its toll and the Binns Road address closed in November 1979. Within a few years their competitors suffered the same fate. Today Dinky Toys, especially with original boxes, command extraordinary prices at auction.